Welcome to Baskin Robbins. Would you like some ice cream or just whole milk and sugar? 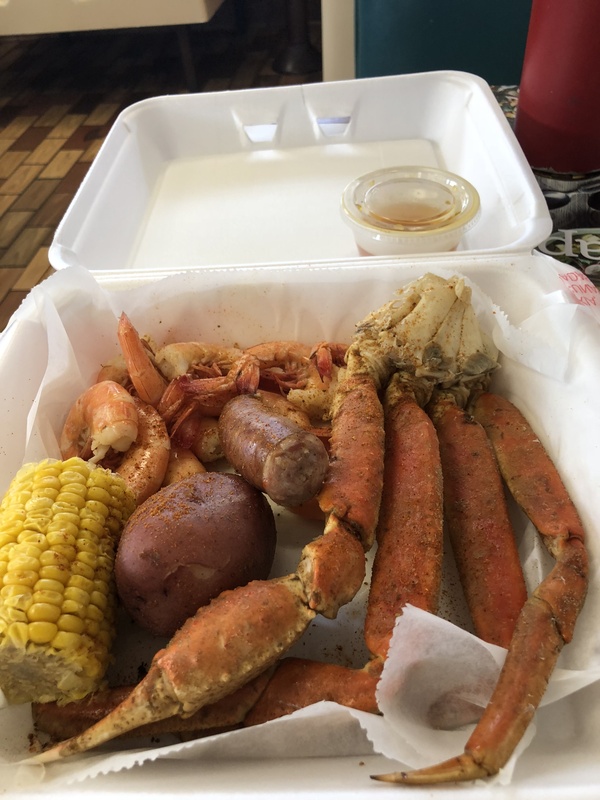 Cajun Crab House: I’ll be happy to be proven wrong but my first reaction is “Hoo-boy, don’t blink or you might miss this place being in business.” So weird. It’s set up like a fast food restaurant but there are three lines, including a “fresh seafood” line. Stand over here to buy your fried seafood platter; over here for this nice shrimp on ice. It’s like going into Taco Bell and facing the decision to order a Crunchmelt Supreme or some raw meat to cook at home. Really strange. I was also served sides of corn, potato and sausage despite asking for sausage only. And I didn’t ask for it to-go but that’s how it came out. The shrimp was really good dipped in butter. Crab legs bent like rubber rather than snapping. A lunch I left hungry ran me $18. Nah. 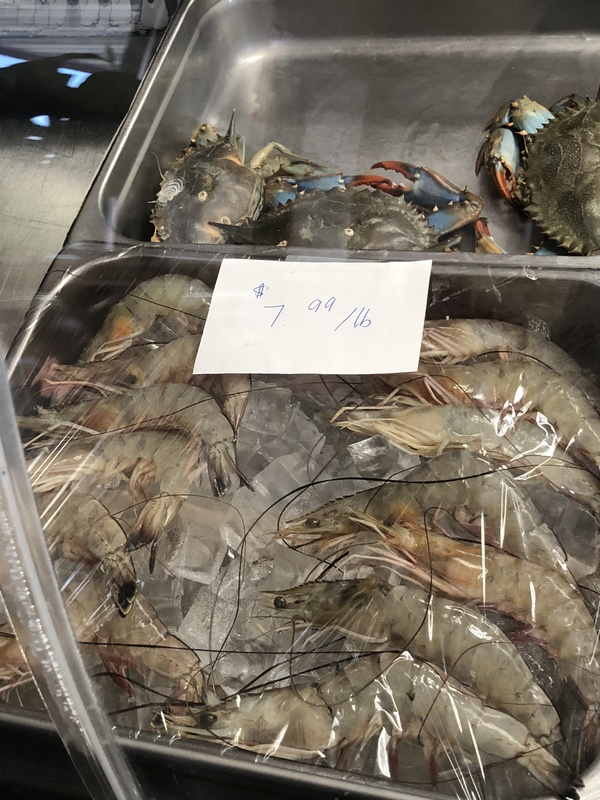 Note: the fresh seafood – including blue crab and head-on shrimp – did indeed look really good. May be a better destination for fresh seafood than lunch. Also, the normal (fried) lunches cost quite a bit less. La Torilleria El Patron: Quite simply the best tortillas – flour or corn – that you’ll find in town (in this case, up on Vandiver). 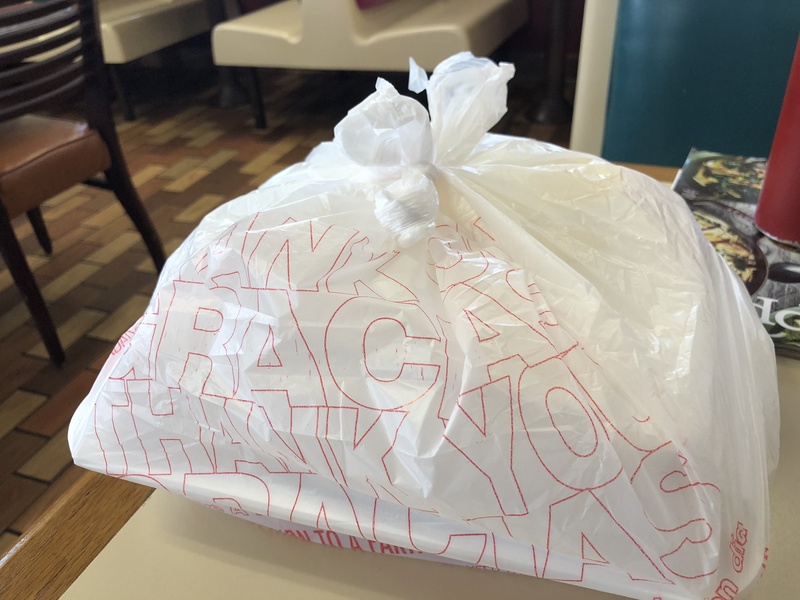 The prepared meats and salsas to go are a great bet as well and they’ve added a dine-in space. Hours are suspect and seem highly variable – I’ve stopped by at least four times to find them closed. Call ahead and you’ll be in good shape. 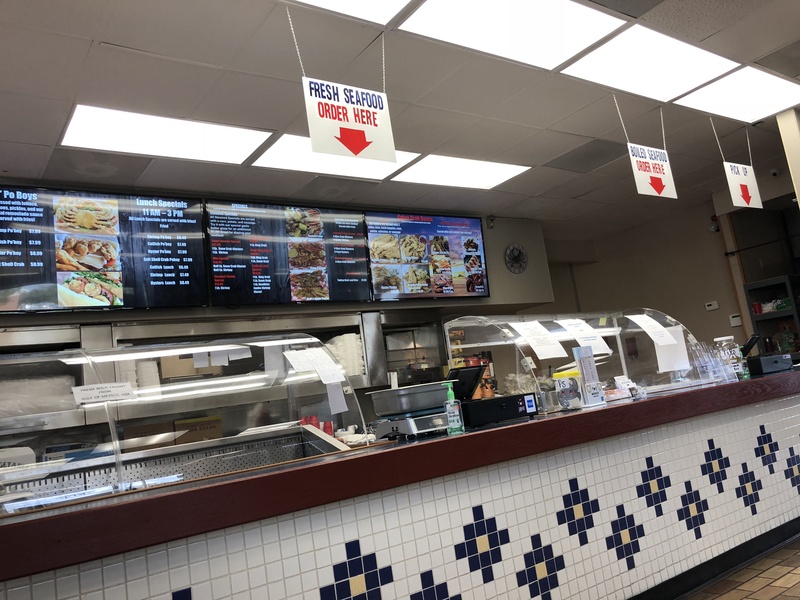 Mi Mexicana: I haven’t actually hit this place – where Country Kitchen was for years – yet but people I trust have said it’s among the best in town. Interested in some other early takes. Barnyard Smokehouse (Fulton): As one of the first customers of the day I was clearly served yesterday’s leftover brisket, which resembled nothing so much as dry chipped beef. Immediate red card. A fellow diner reported dry, overcooked pork tenderloin. The cavernous interior offers meats and other products from the attached smokehouse. Perhaps, like the crab house, a better take-and-cook option than dine-in. We think the food at Barnyard Smokehouse is very good, although their fresh and cured meat market beside it is the bomb. Quality products that won’t break the bank. Blows Jennings away. If you want to try some authentic Cajun food in Fulton, go to Fontenot’s Po-Boys (although they have way more than poor boys). It’s on Nichols in downtown Fulton. You will not be disappointed. If you have not yet been to Pho Quan Viet Cuisine on Vandiver, you must do so. Absolutely delicious (and they’re not charging enough for their fantastic food). Mi Mexico on Providence has already closed…at least that’s what their sign said.